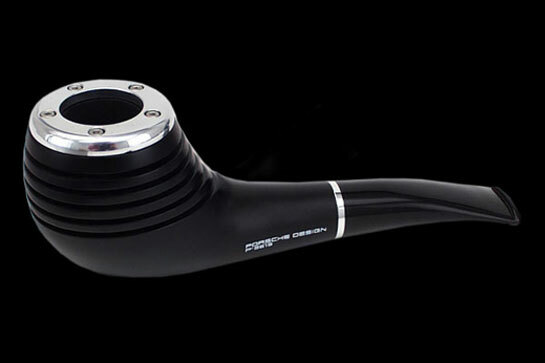 This high-end hookah or luxury bong (depending upon what one plans to smoke out of it) has been designed and created by the Porsche Design studio. 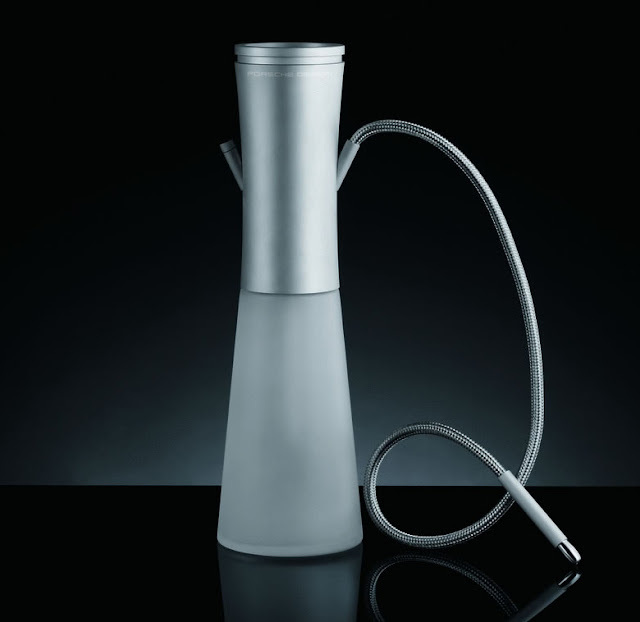 A modern version of the popular Middle Eastern hookah pipes, the Shisha (which will retail for £2,000) combines aluminum, stainless steel and glass with the timeless and unique design approach of the luxury brand. Already under criticism from health organizations in the UK, the Shisha was designed as part of the Porsche Design World Collection which will be available at Porsche Design stores worldwide at the end of July and exclusively at the newly opened Porsche Design shop-in-shop at the world famous Harrods department store in London, Knightsbridge. 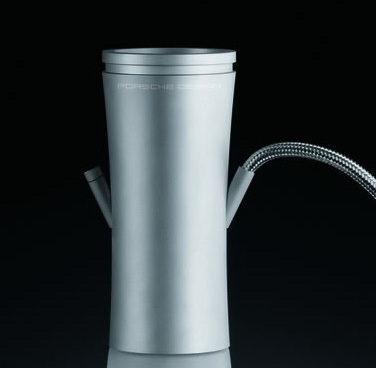 Porsche today said that the Porsche Design Shisha was an object of 'cultural value'. 'Our brand has very strong roots in the Middle Eastern market,' said a spokesman. 'Our brand is very much international and in doing our World Collection (which also includes tea cups and chopsticks) we decided need to include cultural goods from and for the Middle Eastern market as well. Harrods, where the Porsche pipes are sold, was acquired last year by the Qatari royal family, who also own 10 per cent of Porsche. They have designed other versions of pipes, lighters, cigar cutters and holders which you can see here. The Porsche Design World Collection is dedicated to a united global community and consists of a number of exclusively designed products. Besides the Shisha the assortment contains chopsticks, a tea and soup set as well as a few fashion items such as a jacket, polo shirt and a silk scarf. The lately opened 55 square-metre shop-in-shop at the world-famous department store Harrods in London offers the full range of Porsche Design products. It is situated in the opulent surroundings of the Knightsbridge store’s vision and sound department at the 3rd Floor’s Millionaires Gallery. 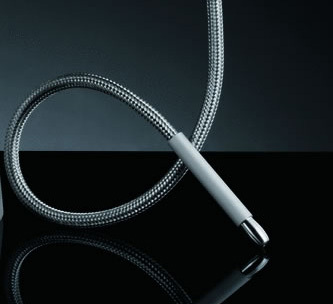 Porsche Design is a luxury brand with a particular focus on technically inspired products. The Porsche Design brand was established in 1972 by Professor Ferdinand Alexander Porsche. The products stand for functional, timeless and purist design, characterised by their technical innovation. The product portfolio includes watches, sunglasses, luggage, electronic products, a men’s fragrance line as well as sports apparel and a fashion collection for men and women. All the products under the brand are designed at the Porsche Design Studio in Zell am See (Austria) and are available worldwide in the company’s own stores, franchise stores, shops-in-shops, high end department stores and exclusive specialist retailers.